If you are an exporter/importer interested in doing business in Brazil or a Brazilian company interested in advertising your products to a global audience, you have come to the right place. Export Portal is here to help you. Enjoying global reputation, Brazilian products are in full process of international expansion, every year captivating new consumers and increasing their market share around the world. 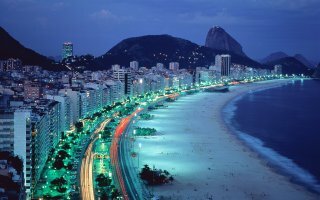 As to Brazil, the country is considered Latin America's giant in every sense of the word. The nation has highly diversified and export-oriented economy and over the past decades Brazil has managed to surpass UK in 2011 to become the 6th largest economy in the world. This is to a certain degree thanks to record-breaking oil and agricultural exports. Brazil's already booming exports, recent oil discoveries, macroeconomic stabilization, and strategic ties to other emerging economy powers such as China are combining to transform the country into an economic superpower. Brazil is the largest ICT market in South America, after Mexico. Since 2011, the country has been increasing exports of corn, soy beans, copper, beef, iron and cars. Brazil also exports food products, mobile equipment, fuels and lubricants. Brazil main export partners are China, the United States and Argentina. The US is the major importing country of products made in Brazil, such as manufactured goods, footwear, iron ore, soy beans and coffee. Brazil offers overseas companies many opportunities to export their goods and services. Coffee: Brazil is a coffee giant producing over 40 percent of the world's coffee! Find your Perfect Brazilian Coffee on Export Portal. Explore our online directory of the best Brazilian Coffee Suppliers, Brazilian Coffee Companies, Brazilian Manufacturers of Coffee, as well as Brazil Arabica Coffee Bean Suppliers, and Brazil Robusta Coffee Bean Suppliers. Soybeans: Brazil is the 2nd largest soybean producer and exporter (after the U.S.) in the world. Soybeans are a major global source for protein. Export Portal offers you a great opportunity to source Soybeans Exporters, Suppliers and Manufacturers, Brazil Soybean Products and Organic Beans from Brazil. Oranges: Brazil is the largest producer and exporter of oranges and orange juice in the world. At exportportal.com you can buy online made in Brazil Orange Juice, Brazilian Orange Juice or Brazilian orange concentrated Orange Juice from top verified Orange Fruit Exporters, Brazil Orange Juice Manufacturers. Sugar: Since the time of Portuguese colonization, Brazil has been known as the largest producer and exporter of sugar in the world. Check out our directory of Brazil Sugar, Brazil Sugar Manufacturers & Suppliers to find Brazil Sugar Exporters and Brazil Sugar Wholesalers. Tobacco: Tobacco is another Brazils' major agricultural product. The country is the 3rd largest producer (after China and India) and largest exporter of tobacco in the world. Choose Quality Tobacco Manufacturers, Suppliers, Exporters at Export Portal. Brazil as any other country imports goods and services for its development. The given article gives an overview of the products imported by Brazil and outlines the current situation of imports in the country. Brazil main imports are raw material and intermediate products, chemical products, capital goods, machinery, fuels, lubricants, durable consumer goods, passenger cars, non-durable consumer goods, pharmaceutical products and food. Main import partners of Brazil are China, the United States, Germany, Argentina and South Korea. Petroleum oil: Even of it is considered that Brazil is self-sufficient on oil production, the country imports oil because of the density of the Brazil's oil. The imported oil is mixed to the Brazilian one so it becomes proper to use and sell overseas. Motor Vehicles: Car and motor vehicle imports represent 5 percent of importations to Brazil. The vehicle market have been warmed in the recent years thanks to the government's incentives that include tax reductions. Pharmaceuticals: Pharmaceutical Products represent 1,54 percent of Brazilian imports. This also happens thanks to the government incentives, that reduced to zero aliquots to import pharmaceutical products to Brazil. Fertilizers: According to recent report, the fertilizers imports have been growing again as Brazil needs these products to produce and export agricultural issues. These are some of the export/import ideas for Brazil. Export Portal online marketplace is a perfect starting point for international exporters, traders or wholesalers looking to establish direct contacts with companies from Brazil and from all across the world. Find Export and Import Business Partners in Brazil, Distributors, Manufacturers and Importers. Export Portal – your gate to international trade. 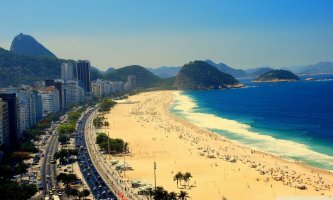 Brazil is the world's fifth-largest country in terms of territory and population. It occupies nearly 50 percent of the South American continent. Brazil is bordered by the Atlantic Ocean, Argentina, Bolivia, Guyana, Paraguay, Peru, Uruguay, Colombia and Venezuela. The country is a member of the World Trade Organization and a member of Mercosur. - 12% to 16% for agricultural products and the information processing and telecommunications sectors. Generally, the cost of importing is composed of an import tax, state tax on circulation of goods and services and a tax for industrial products. Importers will also have to pay some additional taxes such as tax for Siscomex use and tax for the merchant marine renovation. In order to export goods to Brazil the product must be certified by Inmetro. You can obtain the certification from a foreign agency recognized by Inmetro or you can obtain it directly from Inmetro when arriving in Brazil. Also, importers and exporters must register with Siscomex (Sistema Integrado de Comércio Exterior) before beginning any trade operations. The packaging of a product should contain information on the quality, quantity, composition, price, guarantee, origin, expiry date, risks for health and safety and the mark of origin. The information should be clear, precise and obligatory translated in Portuguese. If a product contains GMOs this must be indicated on the package. - The basic document for import clearance is the Import Declaration (Declaração de Importação) which contains details about currency exchange rates and taxes. The ID is completed by the importer through Siscomex. - Commercial invoice - a necessary document for all shipments containing details about the seller and the buyer and a detailed description of the product (quantity, price etc). - Pro forma invoice - preliminary invoice. - Packing list – contains information about the weight and volume of the shipment. - Certificate of origin - a document which verifies the country of origin issued by a local chamber of commerce.